The commute from Langley is long some days but with the new Port Mann bridge it will be shorter. This may cause Langley real Estate to increase in value. 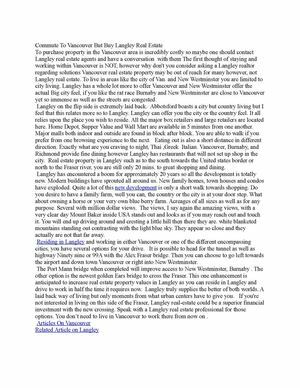 this will make Langley real estate agents happy.